1 SPALLETTA C., VAI G.B. & VENTURINI C., 1980 – Il Flysch ercinico nella geologia dei Monti Paularo e Dimon (Alpi Carniche). Mem. Soc. Geol. It., 20, 243-265. 2 VENTURINI C. & SPALLETTA C., 1980 – Pramosio (Alpi Carniche): geologia e morfologia. Azienda delle Foreste, Reg. Auton. Friuli V.G., 45 pp., Udine. 3* FRASCARI F., SEMENZA E., SPALLETTA C., VAI G.B. & VENTURINI C., 1980 Profilo carnico B: Gailtal-M. San Simeone. Nota illustrativa sommaria. Rend. Soc. Geol. It., 2(1979), 17-20. 4* ORI G.G. & VENTURINI C., 1981 – Facies continentali permiane nelle Alpi Carniche. Rend. Soc. Geol. It., 3(1980), 21-24. 5 VENTURINI C., 1981 – Foglio 14A-Tarvisio. In: A. Castellarin (a cura di), Carta Tettonica delle Alpi Meridionali (scala 1:200.000), Pubbl. n. 441, Prog. Fin. Geod. (S.P. 5) CNR, 23-30. 6 FRASCARI F., SPALLETTA C., VAI G.B. & VENTURINI C., 1981 – Foglio 14-Pontebba. In: A. Castellarin (a cura di), Carta Tettonica delle Alpi Meridionali (scala 1:200.000), Pubbl. n.441, Prog. Fin. Geod. (S.P.5) CNR, 23-30. 7 SPALLETTA C., VAI G.B. & VENTURINI C., 1982 – La Catena Paleocarnica. In: A. Castellarin & G.B. Vai (a cura di), Guida alla geologia del Sudalpino centro-orientale, Guide Geol. Reg., Soc. Geol. It., 281-292. 8 VENTURINI C., FERRARI A., SPALLETTA C. & VAI G.B., 1982 – La discordanza ercinica, il tardorogeno e il postorogeno nella geologia del Passo di Pramollo. In: A. Castellarin & G.B. Vai (a cura di), Guida alla Geologia del Sudalpino centro-orientale, Guide Geol. Reg. Soc. Geol. It., 281-292. 9 CANTELLI C., SPALLETTA C, VAI G.B. & VENTURINI C., 1982 – Sommersione della piattaforma e rifting devono-dinantiano e namuriano nella geologia del Passo di Monte Croce Carnico. In: A. Castellarin & G.B. Vai (a cura di), Guida alla Geologia del Sudalpinocentro-orientale, Guide Geol. Reg. Soc. Geol. It., 293-303. 10 SPALLETTA C., VAI G.B. e VENTURINI C., 1982 – Controllo ambientale e stratigrafico delle mineralizzazioni in calcari devono-dinantiani delle Alpi Carniche. Mem. Soc. Geol. It., 22(1981), 101-110. 11 VENTURINI C., 1983 – Il Bacino tardoercinico di Pramollo (Alpi Carniche): un’evoluzione regolata dalla tettonica sinsedimentaria. Mem. Soc. Geol. It., 24 (1982), 23-42. 12 FONTANA D. e VENTURINI C., 1983 – Evoluzione delle mode detritiche nelle arenarie permo-carbonifere del Bacino tardoercinico di Pramollo (Alpi Carniche). Mem. Soc. Geol. It., 24(1982), 43-49. 13 VENTURINI C., 1983 – Il dissesto idrogeologico e gli interventi di riassetto nel bacino del Torrente Brasimone-Vezzano. In M. BAGNARESI (a cura di): Rapporti fra sviluppo e conservazione del suolo in un bacino campione dell’Appennino settentrionale. Consorzio Bonifica Montana Alto Reno, 65-96, Bologna. 14 BROGLIO LORIGA C., CONTI M.A., FARABEGOLI E., FONTANA D., MARIOTTI N., NERI C., NICOSIA U., PASINI M., PERRI M.C., PITTAU P., POSENATO R., VENTURINI C. & VIEL G., 1986 – Upper Permian sequence and P/T boundary in the area between Carnia and Adige Valley. In: Italian IGCP 203 GROUP (Ed. ), Escursion Guidebook, Field Conference on ‘Permian and Permo-Triassic boundary in the Western Tethys (N Italy and N Yugoslavia), July 1986′, 23-37, Brescia. 15 VENTURINI C., 1986 – Permian red beds of the Carnic Alps (Val Gardena Sandstone). In: Italian IGCP 203 GROUP (Ed. ), Escursion Guidebook, Field Conference on ‘Permian and Permo-Triassic boundary in the Western Tethys (N Italy and N Yugoslavia), July 1986′, 58-69, Brescia. 16 MIETTO P., MUSCIO G. & VENTURINI C., 1986 – Impronte di Tetrapodi nei terreni carboniferi delle Alpi Carniche. Gortania, Atti Mus. Friul. St. Nat., 7(1985), 37-58, Udine. 17 VENTURINI C., 1986 – I depositi quaternari di Ponte Racli (Meduno, PN), Prealpi Friulane. Gortania, Atti Mus. Friul. St. Nat., 7(1985), 59-65, Udine. 18* MANZONI M., VENTURINI C. & VIGLIOTTI L., 1987 – Paleomagnetic data of Stephanian age from the Carnic Alps. Terra Cognita, 8, 127. 19 VENTURINI C., 1988 – L’anfiteatro morenico del Tagliamento: evidenze di archi würmiani sepolti nelle alluvioni dell’alta pianura friulana e relative implicazioni glaciali e neotettoniche. Gortania, Atti Mus. Friul. St. Nat., 10(1987), 65-80, Udine. 20 CASSINIS G., MASSARI M., NERI C. & VENTURINI C., 1988 – The continental Permian in the Southern Alps (Italy). A review. Z. geol. Wiss., 16 (11/12), 1117-1126, Berlin. 21 MANZONI M., VENTURINI C. & VIGLIOTTI L., 1989 – Paleomagnetism of upper Carboniferous limestones from the Carnic Alps. Tectonophysics, 165, 73-80. 22* VENTURINI C., 1989 – The Bombaso Formation: the basal clastic unit of the Late orogenic Hercynian sequence in the Carnic Alps. In: F.P. Sassi & G. Bourrouilh (Eds), IGCP Pr. n.5, Newsletter, 7(1987), 101-103, Pau. 23* VENTURINI C., 1989 – Isoclinal folds in the sedimentary Hercynian sequence of the Palaeocarnic Chain (NE Italy). In: F.P. Sassi & G. Bourrouilh (Eds), IGCP Pr. n.5 Newsletter, 7(1987), 104-105, Pau. 24 VENTURINI C., 1989 – Upper Palaeozoic marine sequences in the Southern Alpine domain. In: F.P. Sassi & G. Bourrouilh (Eds), IGCP Pr. n.5 Newsletter, 7(1987), 256-261, Pau. 25 SPALLETTA C. and VENTURINI C., 1989 - Conglomeratic sequences in the Hochwipfel Formation: a new palaeogeographic hypotesis on the Hercynian Flysch stage of the Carnic Alps. Jahrb. Geol. B.A., 131, 58-70 Wien. 26 VENTURINI C., 1990 – Evoluzione tettonica neogenico-quaternaria del settore alpino friulano. In: M. BERNINI and G. PAPANI (a cura di), Neogene Thrust Tectonics: esempi da Alpi, Appennini e Sicilia, Parma, 8-9/6/90, 35-39, Parma. 27* MENEGAZZI R., PILI M. and VENTURINI C., 1990 – The structural evolution of the western Palaeocarnic Chain: new data about the metamorphic Hercynian sequence. In: C. Venturini and K. Krainer (Eds), Proceedings of the Field Workshop on Carboniferous to Permian sequence of the Pramollo-Nassfeld Basin (Carnic Alps), 33-34. 28 VENTURINI C., 1990 – Geologia delle Alpi Carniche centro orientali. Comune di Udine, Mus. Friul. St. Nat., 36, 222 pp., Udine. 29 VENTURINI C., 1990 – The Carnic Alps: A brief geological outline. In: C. Venturini (Ed. ), Field Workshop on Carboniferous to Permian sequence of the Pramollo-Nassfeld Basin (Carnic Alps), Guidebook, 9-17. 30 VENTURINI C., 1990 – The Permian-Carboniferous palaeotectonics. In: C. Venturini (Ed. ), Field Workshop on Carboniferous to Permian sequence of the Pramollo-Nassfeld Basin (Carnic Alps), Guidebook, 26-28. 31 VENTURINI C., 1990 – The Alpine orogeny. In: C. Venturini (Ed. ), Field Workshop on Carboniferous to Permian sequence of the Pramollo-Nassfeld Basin (Carnic Alps), Guidebook, 29-34. 32 VENTURINI C., 1990 – The Bombaso Formation (Pramollo Member and Malinfier Horizons), Upper Moscovian-Lower Gzelian. In: C. Venturini (Ed. ), Field Workshop on Carboniferous to Permian sequence of the Pramollo-Nassfeld Basin (Carnic Alps), Guidebook, 50-52. 33 VENTURINI C., 1990 – The synsedimentary tectonics in the Late Kasimovian-Early Gzelian times. In: C. Venturini (Ed. ), Field Workshop on Carboniferous to Permian sequence of the Pramollo-Nassfeld Basin (Carnic Alps), Guidebook, 74-75. 34 VENTURINI C., 1990 – The Hercynian sequence (Upper Ordovician- Lower Carboniferous). In: C. Venturini (Ed. ), Field Workshop on Carboniferous to Permian sequence of the Pramollo-Nassfeld Basin (Carnic Alps), Guidebook, 134-136. 35 VENTURINI C., 1990 – The Val Gardena Stage (Upper Permian). In: C. Venturini (Ed. ), Field Workshop on Carboniferous to Permian sequence of the Pramollo-Nassfeld Basin (Carnic Alps), Guidebook, 137-143. 36 VENTURINI C., GALASSI R., MENEGAZZI R. & PILI M., 1990 – The Hercynian orogeny. In: C. Venturini (Ed. ), Field Workshop on Carboniferous to Permian sequence of the Pramollo Basin (Carnic Alps), Guidebook, 22-25. 37 VENTURINI C., 1990 – Cinematica neogenico-quaternaria del Sudalpino orientale (settore friulano). Vol. Tematico ‘Neogene Thrust Tectonics’, Studi Geol. Camerti, Vol. Spec., 109-116, Camerino (MC). 38 MASSARI F. & VENTURINI C., 1990 – The significance of the Auernig Group cyclicity. In: C. VENTURINI (Ed. ), Field Workshop on Carboniferous to Permian sequence of the Pramollo-Nassfeld Basin (Carnic Alps), Guidebook, 81-86. 39 MASSARI F. & VENTURINI C., 1990 – The main facies of the Auernig Group. In: C. Venturini (Ed. ), Field Workshop on Carboniferous to Permian sequence of the Pramollo-Nassfeld Basin (Carnic Alps), Guidebook, 114-116. 40 MASSARI F., PESAVENTO M. & VENTURINI C., 1991 – The Permian Carboniferous cyclothems of the Pramollo Basin sequence (Carnic Alps). In: C. Venturini (Ed. ), Field Workshop on Carboniferous to Permian sequence of the Pramollo-Nassfeld Basin (Carnic Alps), Guidebook, 171-185. 41 MENEGAZZI R., PILI M. & VENTURINI C., 1991 - Preliminary data and hypotesis about the very-low metamorphic Hercynian sequence of the western Palaeocarnic Chain. In: C. Venturini (Ed. ), Workshop Proceedings on Tectonics and Stratigraphy of the Pramollo Basin (Carnic Alps); Giorn. Geol., Ser. 3, Vol. 53/1, 139-150, Bologna. 42 SPALLETTA C. & VENTURINI C., 1991 – Stratigraphic Correlation Form (SCF) of the Palaeozoic sequence in the Carnic Alps, Geotraverse B. Vol. Spec. S.G.I. IGCP Pr. n.5, Roma. 43 VENTURINI C., KRAINER K. & MASSARI F., 1991 – Field trips in the Pramollo Basin (Carnic Alps). In: C. VENTURINI (Ed. ), Workshop Proceedings on Tectonics and Stratigraphy of the Pramollo Basin (Carnic Alps). Giorn. Geol. Ser. 3, Vol. 53/1, 49-127, Bologna. 44 CONTI M.A., LEONARDI G., MANNI R. & VENTURINI C., 1991 – Limuloid tracks into the Meledis Fm. (Upper Carboniferous, Kasimovian) of the Carnic Alps. In: C. Venturini (Ed. ), Workshop Proceedings on Tectonics and stratigraphy of the Pramollo Basin (Carnic Alps). Giorn. Geol., Ser. 3, Vol. 53/1, 151-159, Bologna. 45 VENTURINI C., 1991 – Introduction to the geology of the Pramollo Basin (Carnic Alps) and its surroundings. In: C. Venturini (Ed. ), Workshop Proceedings on Tectonics and Stratigraphy of the Pramollo Basin (Carnic Alps). Giorn Geol., Ser. 3, Vol. 53/1, 13-47, Bologna. 46 VENTURINI C., 1991 – Il Conglomerato di Osoppo (Prealpi Carniche). Gortania, Atti Mus. Fr. St. Nat., 13, 31-49, Udine. 47 VENTURINI C., 1991 - Evoluzione geologica e morfologica del Bacino dell’alto But. In: Pramosio (Paluzza, UD), Reg. Auton. Friuli V.G., 69-81, Udine. 48 VENTURINI C., 1991 – The Hercynian structural evolution of the Palaeocarnic Chain. In: Geologia del Basamento Italiano, Convegno in mem. di T. Cocozza. Abstract, 77-79, Siena. 49* VENTURINI C., 1991 – The Upper Adriatic wedge: a hypothesis on the Neogene evolution of the eastern Southalpine Chain. In: Geologia del Basamento Italiano, Convegno in mem. di T. Cocozza. Abstract, 80-82, Siena. 50 VENTURINI C. & DELZOTTO S., 1993 – Evoluzione deformativa delle Alpi Carniche centro-occidentali: paleotettonica e tettonica neoalpina. Studi Geol. Camerti, Vol. Spec. (1992/2), CROP 1-1A, 51-67, Camerino (MC). 51 VENTURINI C. & FONTANA C., 1993 – The Neoalpine phase in the Carnic Alps: secondary E-W compressions. Studi Geol. Camerti, Vol. Spec. (1992/2), CROP 1-1A, 48-54, Camerino. 52 SPALLETTA C. & VENTURINI C., 1995 – Late Devonian early Carboniferous tectonic evolution of the Palaeocarnic domain (Southern Alps, Italy). Giorn. Geol., Vol. 58/2, 59-70. 53* SASSI R., ARKAI P., LANTAI C. & VENTURINI C., 1995 – Location of the boundary between the metamorphic Southalpine basement and the Paleozoic sequences of the Carnic Alps: Illite ‘crystallinity’ and vitrinite reflectance data. Plinius, vol. 14, 280-282. 54 SASSI R., ARKAI P., LANTAI C. & VENTURINI C., 1995 – On the boundary between the epimetamorphic southalpine basement and the anchimetamorphic paleozoic sequences of the Carnic Alps: Illite crystallinity and vitrinite reflectance data. Schweiz. Miner. und Petr. Mitt., 75/3, 399-412. 55 CASSINIS G., PEROTTO C. & VENTURINI C., 1997 – Examples of Late Hercynian transtensional tectonics in the Southern Alps Italy). In: J.M. Dickins, Y. Zunyi, Y Hongfu, S.G. Lucas & S.K. Acharyya (Eds. ), Late Palaeozoic and Early Mesozoic Circum-Pacific Events and their global Correlation. World and regional Geology 10, Cambridge Univ. Press, 41-49. 56 VAI G.B. & VENTURINI C., 1997 – Moskovian and Artinskian rocks in the frame of the cyclic Permo-Carboniferous of the Carnic Alps and related areas. In: S. Crasquin-Soleau & P. De Wever (Eds. ), Peri-Tethys: stratigraphic correlations, Geodiversitas 19(2), 173-186. 57 BRESSAN G., SNIDARCIC F. & VENTURINI C., 1998 – Tectonic stress regime in the eastern Southern Alps (Friuli area). Tectonophysics, 292/3-4, 211-227. 58 VENTURINI C. & SPALLETTA C., 1998 – Remarks on the Palaeozoic stratigraphy and the Hercynian tectonics of the Palaeocarnic Chain (Southern Alps). In: M.C. Perri & C. Spalletta (Eds. ), ECOS VII – Seventh international conodont Symposium held in Europe. Southern Alps field Trip Guidebook, 1998. Giorn. Geol., 60, Spec. Issue, 69-88. 59 CASSINIS G., CORTESOGNO L., DALLAGIOVANNA G., DI STEFANO P., GAGGERO L., GULLO, M., MASSARI F., NERI C., RONCHI A., SENO S., VANOSSI M. & VENTURINI C., 1998 – Synthetic Upper Palaeozoic correlation charts of selected Italian areas. Atti Ticin. Sc. della Terra, Vol. Spec., 7, 80 pp. 60* PASINI M. & VENTURINI C., 1998 – New data on some fusulinid limestones from Areñas de Cabrales, Eastern Asturias, (Spain). Abstract. Palaeopelagos, 45. 61 VENTURINI C., PONDRELLI M. & PASINI M., 1998 – Stratigraphic and tectonic evolution of the uppermost Carboniferous succession of the Eastern Asturian Basin (Gamonedo-Areñas de Cabrales area, Cantabrian Mountains (NW Spain). Giorn. Geol., 60, 48-70. 62* PONDRELLI M., SPALLETTA C. & VENTURINI C., 1999 - Hercynian deformation-evolution of the Carnic Alps (Southern Alps). In: R. FEIST, J. TALENT & B. ORTHPP (Eds. ), Errachidia Meeting SDS – IGCP 421, April 23rd – May 1st 1999, Abstract Book (Errachidia, Marocco, 22/04-1/05 1999), Universite de Montpellier II, 37-39. 63 CASSINIS G., DI STEFANO P., MASSARI F., NERI C. & VENTURINI C., 2000 – Permian of South Europe and its interregional correlation. In: H. YIN, J.M. DICKINS, G.R. SHI, J. TONG (Eds.) “Permian-Triassic evolution of Tethys and Western circum-Pacific”, Elsevier, Amsterdam, 37-70. 64 VENTURINI C., 2000 – Il ciclo de posizionale post-ercinico. In: G.B. Carulli e Coll. (a cura di), Guida alle escursioni dell’80a riunione estiva – Parte Generale (Trieste, 6-8 sett. 2000). Soc. Geol. It., Trieste, 14-17. 65 PONTON M. & VENTURINI C., 2000 – La strutturazione post-ercinica delle Alpi e Prealpi Carniche e Giulie. In: GB. Carulli & Coll. (a cura di), Guida alle escursioni dell’80a riunione estiva – Parte Generale (Trieste, 6-8 sett. 2000). Soc. Geol. It., Trieste, 27-33. 66 CARULLI G.B., COLIZZA E., PONTON M., PUGLIESE N. e VENTURINI C., 2000 – Alpi Carniche centrali: La successione permo-anisica e la strutturazione alpina. Guida alle Escursioni. Escursione A – La successione stratigrafica e la strutturazione post-ercinica delle Alpi e Prealpi Carniche e Giulie. In: G.B. Carulli & Coll. (a cura di), Guida alle Escursioni, (Trieste, 6-8 sett. 2000). Soc. Geol. It., Trieste, 37-51. 67 CARULLI G.B., MUSCIO G., PERNARCIC E., PONTON M., TUNIS G., VAIA F. & VENTURINI C., 2000 – Prealpi Carniche e Giulie: Il fronte esterno di deformazione e le successioni tardo-mesozoiche e cenozoiche. Escursione A – La successione stratigrafica e la strutturazione post-ercinica delle Alpi e Prealpi Carniche e Giulie. In: G.B. Carulli & Coll. (a cura di), Guida alle Escursioni, (Trieste, 6-8 sett. 2000). Soc. Geol. It., 116-144. 68* DISCENZA K. & VENTURINI C., 2000 – Evoluzione strutturale neoalpina del settore compreso fra Paluzza, Arta e Paularo (Alpi Carniche Centrali). In: GB. Carulli & Coll. (a cura di), Riassunti delle comunicazioni orali e dei poster – 80a riunione estiva SGI (Trieste, 6-8 sett. 2000). Soc. Geol. It., Trieste, 224-225. 69* VENTURINI C., 2000 – Analisi deformativa della Catena Prealpina Carnica. In: G.B. Carulli & Coll. (a cura di), Riassunti delle comunicazioni orali e dei poster – 80a riunione estiva SGI (Trieste, 6-8 sett. 2000). Soc. Geol. It., Trieste, 456-457. 70 VENTURINI C. & CARULLI G.B., 2003 – Neoalpine structural evolution of the Carnic Alps central core (M. Amariana, M. Plauris and M. San Simeone). Atti dell’80a riunione estiva Soc. Geol. Ital., Mem. Soc. Geol. It., 57, 273-281. 71 DISCENZA K. & VENTURINI C., 2003 – Evoluzione strutturale neoalpina del settore compreso fra Paluzza, Arta e Paularo (Alpi Carniche centrali). Atti dell’80a riunione estiva Soc. Geol. Ital., Mem. Soc. Geol. It. 57, 259-272. 72* VENTURINI C., PONDRELLI M., FONTANA C., DELZOTTO S. & DISCENZA K., 2003. Geologic map of the Carnic Alps (1:25,000 scale, western and eastern sheets). 4 European Congress on regional Geoscientific cartography and information Systems. Proceedings, Vol. I, Regione Emilia-Romagna, 31-33. 73 BRESSAN G., BRAGATO P.L. & VENTURINI C., 2003 - Stress and strain tensors based on focal mechanisms in the seismotectonic framework of the Friuli-Venezia Giulia Region (NE Italy). Bull. Seism. Soc. of Am., 3, 1280-1297. 74 VENTURINI C., 2003 – Il Friuli nel Quaternario: l’evoluzione del territorio. In: G. Muscio (a cura di) Catalogo alla Mostra: Glacies. L’età dei ghiacci in Friuli: ambienti, climi e vita negli ultimi 100.000 anni. Comune di Udine, Museo Friul. St. Nat., 23-106. 75 VENTURINI C., DISCENZA K. & GARUTI D., 2004 - The drafting project of a composite geosite: the Sutrio palaeolake (Carnic Alps). In: G. Pasquarè, C. Venturini & Groppelli G. (Eds. ), Mapping Geology in Italy, Mapping Geology in Italy, Apat-Servizio geologico d’Italia, IGC Firenze 2004, 311-320, Selca (Firenze). 76 VENTURINI C., ASTORI A. & CISOTTO A., 2004 – The late Quaternary evolution of central Friuli (NE Italy) as detected through field survey and DEM-derived map analyses. In: G. Pasquarè, C. Venturini & Groppelli G. (Eds. ), Mapping Geology in Italy, Apat-Servizio Geologico d’Italia, IGC Firenze 2004, 95-106, Selca (Firenze). 77* SASSI R., VENTURINI C. & ARKAI P. , 2004 – The boundary between the unmetamorphic very-low grade and low-grade domains (Southalpine Basement s.l.) of the Eastern Southern Alps: a review. Periodico di Mineralogia. Vol. Spec. Issue 2, 131. 78 ASTORI A. & VENTURINI C. , 2005 – Evoluzione pleistocenica della media Val Pesarina (Ponte Arceons-Flaudona, Alpi Carniche). Gortania-Atti Museo Friulano St. Nat., 26(2004): 25-40. 79* CANTELLI L., VENTURINI C. 2007 – The Edu-Geo Project. Geoitalia 2007, sesto Forum Italiano di Scienze della Terra. Rimini 12-14 settembre 2007 vol.2, 373. 80 BRIME C., PERRI M.C., PONDRELLI M., SPALLETTA C. & VENTURINI C., 2008 – Polyphase mertamorphism in the eastern Carnic Alps (N Italy-S Austria): clay minerals and conodont Colour Alteration Index evidence. Int. J. Earth Sci., 97 (2007), Springer-Verlag, 1213-1229. 81 VENTURINI C. & DISCENZA K., 2010 – Evoluzione stratigrafica e paleo-idrografica del Friuli centrale (Prealpi Carniche). Miocene superiore-Pliocene inferiore. Atti del Museo Friulano di Storia Naturale, Gortania, 31, 31-52. 82 VENTURINI C., SPALLETTA C., VAI G.B., PONDRELLI M., FONTANA C., DELZOTTO S., LONGO SALVADOR G. & CARULLI G.B., 2010 - Note Illustrative al F°. 031 Ampezzo (Carta geologica d’Italia alla scala 1:50.000). ISPRA - Dipartimento Difesa dei Suoli – Servizio Geologico Nazionale. 83 VENTURINI C., 1982 – Schema strutturale delle Alpi Meridionali, scala 1:10.000.000.In: A. CASTELLARIN and G.B. VAI (a cura di), Guida alla Geologia del Sudalpino centro orientale, Guide Geol. Reg. Soc. Geol. It., 12-13. 84 VENTURINI C., 1983 – Carta geolitologica e dei dissesti (Scala 1:10.000) del Bacino dei Torr. Brasimone-Vezzano (Bologna), Appennino tosco-emiliano. Bonifica montana Alto Reno, Bologna, 73 kmq. 85 BÄR R., BECKMANN U., BÖECKELMANN K., BUTTERSACK E., FENNINGER A., GEIGER A., GROSSMANN J., HAUSER C., HEINISCH H., van HUSEN D., KAHLER F., KOHLER M., MÜLLER P.J., NIEDERMAYR E. & G., POLSLER P., PREY S., SCHÖNLAUB H.P., SUTTNER E., ÜBERHORST S., VENTURINI C., WARCH A. & WILKE M., 1987 – B. 198 Weissbriach. Geologische Karte der Republik Österreich, 1:50.000. Bundesanstalt, Wien. 86 SCHÖNLAUB H.P., FENNINGER A. & VENTURINI C., 1987 – Geologisches Detailkarte des Nassfeld-Gartnerkofel Gebietes, 1:10.000. Geologische Bundsanstalt, Wien, 15 km2. 87 MENEGAZZI R., PILI M. & VENTURINI C., 1990 – Carta geologica dei Monti Peralba, Avanza e Navagiust (Alpi Carniche occidentali), scala 1:10.000 , Ricerche Minerarie), Follonica (LI), 30 kmq. 88 MENEGAZZI R., PILI M. & VENTURINI C., 1990 – Carta geologica della Cima Palombino (Alpi Carniche occidentali), scala 1:10.000. (Ricerche Minerarie), Follonica (LI). 89 VENTURINI C., 1990 – Carta geologica delle Alpi Carniche centro orientali, scala 1: 20.000. S.EL.CA., Firenze, 160 kmq. 90 AA. VV., 1993 – Structural Model of Italy. Foglio 2, scala 1:500.000. , Prog. Fin. Geodin., Modello Strutturale Tridimensionale, S.EL.CA., Firenze. 91 VENTURINI C., PONDRELLI M., FONTANA C., DELZOTTO S. & DISCENZA K., (2001) – Carta geologica delle Alpi Carniche- Geological map of the Carnic Alps, scala 1:25.000 (foglio occidentale Sappada-M. Dimon). S.EL.CA Firenze, 630 kmq. 92 VENTURINI C., PONDRELLI M., FONTANA C., DELZOTTO S. & DISCENZA K., (2002) – Carta geologica delle Alpi Carniche- Geological map of the Carnic Alps, scala 1:25.000 (foglio orientale M. Tersadia-Ugovizza). S.EL.CA Firenze, 360 kmq. 93 VOZAROVA A., VOZAR J., EBNER F., PAMIC J, KOVACS S., SZEDERKENYI T., VAI G.B., VENTURINI C., KRAEUTNER H.G., KARAMATA S., KRSTIC B., SUDAR M. & MIOC P., 2004 – Late Variscan (Latest Carboniferous to Early Permian) Environments. 1:2 500 000 Map. 94 EBNER F., PAMIC J., KOVACS S., SZEDERKENYI T., VAI G.B., VENTURINI C., KRAEUTNER H.G., KARAMATA S., KRSTIC B., SUDAR M., VOZAROVA A., VOZAR J. & MIOC P., 2004 – Variscan Preflysch (Devonian-Early Carboniferous) Environments. 1:2 500 000 Map. 95 VENTURINI C., DELZOTTO S., PONDRELLI M., FONTANA C., PONDRELLI M., LONGO SALVADOR G., CARULLI G.B. & PISA G., 2010 - F°. 031 Ampezzo (Carta geologica d’Italia alla scala 1:50.000). ISPRA - Servizio Geologico Nazionale. 96 ASTORI A. & VENTURINI C., 2012 – Evoluzione quaternaria della media Val di Vizze (Vipiteno, BZ – Alpi Aurine). Gortania – Geologia, Paleontologia, Paletnologia. Atti del Museo Friulano di Storia Naturale. Comune di Udine. 57-84. 97 VENTURINI C., 1983 – Il Paleozoico Carnico: le rocce, i fossili, gli ambienti. Comune di Udine, Museo Friul. St. Nat., 130 pp. 98 VENTURINI C., 1983 – Il Paleozoico Carnico: le rocce, i fossili, gli ambienti. Una mostra del Museo Friulano di storia Naturale di Udine per il Millenario della Città. In Alto, Cronaca Soc. Alp. Friul., 39-41, Udine. 99 VENTURINI C., 1984 – L’evoluzione morfologica del territorio. Brevi considerazioni introduttive. In Alto, Cronaca della Soc. Alp. Friul., 61-68, Udine. 100 VENTURINI C., 1985 – Mezzo miliardo di anni: le rocce della Carnia raccontano… In Alto, Cronaca della Soc. Alp. Friul., 141-156, Udine. 101 VENTURINI C., 1985 – Dalla Carnia all’Adriatico. Il Tagliamento: evoluzione e caratteri di un fiume. In Alto, Cronaca della Soc. Alp. Friul. (1984), 91-107, Udine. 102 PERCO F., SIMONETTI G. & VENTURINI C., 1998 – La foce dell’Isonzo. Riserva Naturale Regionale. I Parchi e le Riserve Naturali della Regione Autonoma Friuli-V.G., 128 pp., Giunti Ed. 103 VENTURINI C., 2002 – La sequenza permo-carbonifera. Guida alle Alpi e Prealpi Carniche e Giulie, alla pianura friulana e al Carso, Parte generale. Guide Geologiche Regionali, Soc. Geol. It., 31-37. 104 VENTURINI C. & PONTON M., 2002 – La sequenza permo-triassica. Guida alle Alpi e Prealpi Carniche e Giulie, alla pianura friulana e al Carso, Parte generale. Guide Geologiche Regionali, Soc. Geol. It., 38-45. 105 VENTURINI C. & PONDRELLI M., 2002 – La Catena ercinica non metamorfica. Guida alle Alpi e Prealpi Carniche e Giulie, alla pianura friulana e al Carso, Parte generale. Guide Geologiche Regionali, Soc. Geol. It., 71-75. 106 PONTON M. & VENTURINI C., 2002 – Il ciclo alpino. Guida alle Alpi e Prealpi Carniche e Giulie, alla pianura friulana e al Carso, Parte generale. In: G.B. Vai, C.Venturini, G.B. Carulli & A. Zanferrari (a cura di), Guida alle Alpi e Prealpi Carniche e Giulie, alla pianura friulana e al Carso, Parte generale. Guide Geologiche Regionali, i, Soc. Geol. It., 76-81. 107 VENTURINI C., MAROCCO, R. & PARONUZZI P., 2002 – I depositi del Quaternario. Guida alle Alpi e Prealpi Carniche e Giulie, alla pianura friulana e al Carso, Parte generale. In: G.B. Vai, C.Venturini, G.B. Carulli & A. Zanferrari (a cura di), Guide Geologiche Regionali, Soc. Geol. It., 58-61. 108 VENTURINI C. e Coll., 2002 – Itinerario 5, Itinerario 6, Itinerario 7 e Itinerario 8. In: G.B. Vai, C.Venturini, G.B. Carulli & A. Zanferrari (a cura di), Guida alle Alpi e Prealpi Carniche e Giulie, alla pianura friulana e al Carso. Guide Geologiche Regionali, Soc. Geol. It., 190-335. 109 VENTURINI C., 2003 – Il Friuli nel Quaternario: l’evoluzione del territorio. In: G. Muscio (a cura di) Catalogo alla Mostra: Glacies. L’età dei ghiacci in Friuli: ambienti, climi e vita negli ultimi 100.000 anni. Comune di Udine, Museo Friul. St. Nat., 23-106. 110 VENTURINI C., 2003 – Un viaggio nel tempo… tra cause ed effetti. In: C. Venturini (a cura di) Glacies. L’età dei ghiacci in Friuli: ambienti, climi e vita negli ultimi 100.000 anni. Comune di Udine, Museo Fr. St. Nat., 1-63. 111 BENACCHIO L., BENEDETTI P., RASOTTO M.B. & VENTURINI C., 2005 – Il racconto delle Origini: dal big bang alla vita. Magnus Edizioni, (tradotto in 4 lingue), 200 pagg., Udine. 112 VENTURINI C., 2006 – Evoluzione geologica delle Alpi Carniche. Museo Friulano di Storia Naturale, Comune di Udine, pubbl. 48, 220 pagg. 113 VENTURINI C., 2008 – Splendore e rovina di un antico lago, 10.000 anni fa-Presente Quaternario, Olocene) Valle del Torrente But (Alpi Carniche, Italia NE). In C. Venturini (Coord. ), Progetto Edu-Geo, www.edu-geo.it, FIST. 114 VENTURINI C., ZUFFA G.G., 2008 – Mare Mediterraneo: da mare profondo a lago salato. Da 15 a 5 milioni di anni fa (Miocene), valle del Fiume Santerno (Toscana ed Emilia romagna, Appennino settentrionale). In C. Venturini (Coord. ): Progetto Edu-Geo, www.edu-geo.it, FIST. 115 VENTURINI C., 2009 – Insegnare Scienze della Terra nei licei: una proposta per un percorso didattico innovativo. Le Scienze Naturali nella Scuola, ANISN, 37, 36-38. 116* VENTURINI C., 2009 – Earth Science in the High School: lesson plan, strategies and tools. Epitome, Vol. Abstract, VII Forum Italiano di Scienze della Terra – Geoitalia 2009, 346. 117* CANTELLI L., GRECO R. & VENTURINI C., ZUFFA G.G., 2009 - Edu-Geo, il territorio-laboratorio. Stato dell’arte di un progetto didattico per le scuole superiori. Le Scienze Naturali nella Scuola, ANISN, 37, 50-51. 118 VENTURINI C., 2009 - Italia che ammalia. La geologia, il lato artistico della natura. Le Scienze Naturali nella Scuola, ANISN, 37, 67-68. 120 VENTURINI C., 2009 – Italia: forme e contenuti. Quaderni Habitat. Ministero dell’Ambiente e della Tutela del Territorio e del mare. Vol. 24, 11-46. 121 VENTURINI C., 2009 – EDU-GEO: un territorio per la Scuola Superiore. TREKKING & OUTDOOR, 64-67. 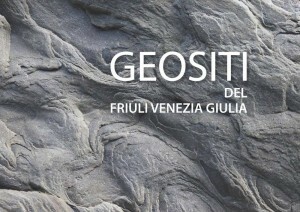 122 VENTURINI C. e Coll., 2009 – Vari geositi della Regione Friuli Venezia Giulia. In F. Cucchi, F. Finocchiaro & G. Muscio (a cura di): Geositi del Friuli Venezia Giulia, Regione Autonoma Friuli Venezia Giulia, Tipografia Arti Grafiche Friulane, 90 pagg. complessive, Udine (segue elenco). Venturini C., 2009 – Introduzione ai geositi della Regione. In F. Cucchi, F. Finocchiaro & G. Muscio (a cura di): Geositi del Friuli Venezia Giulia, Regione Autonoma Friuli Venezia Giulia, Tipografia Arti Grafiche Friulane/Imoco Spa, 11-12, Udine. Venturini C. 2009 – Metamorfiti erciniche del Monte Avanza. In F. Cucchi, F. Finocchiaro & G. Muscio (a cura di): Geositi del Friuli Venezia Giulia, Regione Autonoma Friuli Venezia Giulia, Tipografia Arti Grafiche Friulane/Imoco Spa, 28-30, Udine. Venturini C. 2009 – Linea della Val Bordaglia. In F. Cucchi, F. Finocchiaro & G. Muscio (a cura di): Geositi del Friuli Venezia Giulia, Reg. Aut. Friuli Venezia Giulia, Tipografia Arti Grafiche Friulane/Imoco Spa, 32-33, Udine. Venturini C. 2009 – Creta della Chianevate, Chialderate e Monumenz: calcari devoniani, carsismo e glacialismo. In F. Cucchi, F. Finocchiaro & G. Muscio (a cura di): Geositi del Friuli Venezia Giulia, Reg. Aut. Friuli Venezia Giulia, Tip. Arti Grafiche Friulane/Imoco Spa, 36-37, Udine. Venturini C. 2009 – Valle sospesa del Passo di Monte Croce Carnico. In F. Cucchi, F. Finocchiaro & G. Muscio (a cura di): Geositi del Friuli Venezia Giulia, Reg. Aut. Friuli Venezia Giulia, Tip. Arti Grafiche Friulane/Imoco Spa, 36-37, Udine. Venturini C. 2009 – Fontanon di Timau. In F. Cucchi, F. Finocchiaro & G. Muscio (a cura di): Geositi del Friuli Venezia Giulia, Reg. Aut. Friuli Venezia Giulia, Tip. Arti Grafiche Friulane/Imoco Spa, 38, Udine. Venturini C. 2009 – Arenaria di Val Gardena lungo il Torrente Chiarsò. In F. Cucchi, F. Finocchiaro & G. Muscio (a cura di): Geositi del Friuli Venezia Giulia, Reg. Aut. Friuli Venezia Giulia, Tip. Arti Grafiche Friulane/Imoco Spa, 48-49, Udine. Venturini C. 2009 – Cordoni morenici presso Valbertad (Lanza). In F. Cucchi, F. Finocchiaro & G. Muscio (a cura di): Geositi del Friuli Venezia Giulia, Reg. Aut. Friuli Venezia Giulia, Tip. Arti Grafiche Friulane/Imoco Spa, 52-53, Udine. Venturini C. 2009 – Depositi permiani della Creta d’Aip. In F. Cucchi, F. Finocchiaro & G. Muscio (a cura di): Geositi del Friuli Venezia Giulia, Reg. Aut. Friuli Venezia Giulia, Tip. Arti Grafiche Friulane/Imoco Spa, 56-57, Udine. Venturini C. & Gilli A. 2009 – Discordanze stratigrafiche al Monte Bruca. In F. Cucchi, F. Finocchiaro & G. Muscio (a cura di): Geositi del Friuli Venezia Giulia, Reg. Aut. Friuli Venezia Giulia, Tip. Arti Grafiche Friulane/Imoco Spa, 60-61,Udine. Venturini C. 2009 – Successione carbonifera sup. del Monte Auernig. In F. Cucchi, F. Finocchiaro & G. Muscio (a cura di): Geositi del Friuli Venezia Giulia, Reg. Aut. Friuli Venezia Giulia, Tip. Arti Grafiche Friulane/Imoco Spa, 62-63,Udine. Venturini C. 2009 – Lago Dimon. In F. Cucchi, F. Finocchiaro & G. Muscio (a cura di): Geositi del Friuli Venezia Giulia, Reg. Aut. Friuli Venezia Giulia, Tip. Arti Grafiche Friulane/Imoco Spa, 70-71, Udine. Venturini C. 2009 – Discordanza ercinica al Monte Zoufplan. In F. Cucchi, F. Finocchiaro & G. Muscio (a cura di): Geositi del Friuli Venezia Giulia, Reg. Aut. Friuli Venezia Giulia, Tip. Arti Grafiche Friulane/Imoco Spa, 72-73, Udine. Venturini C. 2009 – Laghi Zoufplan. In F. Cucchi, F. Finocchiaro & G. Muscio (a cura di): Geositi del Friuli Venezia Giulia, Laghi Zoufplan, Tip. Arti Grafiche Friulane/Imoco Spa, 74-75, Udine. Venturini C. & Astori A. 2009 – Depositi pleistocenici di Ponte Arceons-Flaudona. In F. Cucchi, F. Finocchiaro & G. Muscio (a cura di): Geositi del Friuli Venezia Giulia, Reg. Aut. Friuli Venezia Giulia, Tip. Arti Grafiche Friulane/Imoco Spa, 76-77, Udine. Venturini C. 2009 – Formazioni a Bellerophon e di Werfen lungo il Torrente Bût. In F. Cucchi, F. Finocchiaro & G. Muscio (a cura di): Geositi del Friuli Venezia Giulia, Reg. Aut. Friuli Venezia Giulia, Tip. Arti Grafiche Friulane/Imoco Spa, 84-85, Udine. Venturini C. Discenza K. & Garuti D. 2009 – Nicchie di paleo-frana dei Monti di Rivo e Cucco. In F. Cucchi, F. Finocchiaro & G. Muscio (a cura di): Geositi del Friuli Venezia Giulia, Reg. Aut. Friuli Venezia Giulia, Tip. Arti Grafiche Friulane/Imoco Spa, 86-88, Udine. Venturini C. 2009 – Conoide di deiezione del Rio Randice. In F. Cucchi, F. Finocchiaro & G. Muscio (a cura di): Geositi del Friuli Venezia Giulia, Reg. Aut. Friuli Venezia Giulia, Tip. Arti Grafiche Friulane/Imoco Spa, 88-89, Udine. Venturini C. 2009 – Cascata di Salino. In F. Cucchi, F. Finocchiaro & G. Muscio (a cura di): Geositi del Friuli Venezia Giulia, Reg. Aut. Friuli Venezia Giulia, Tip. Arti Grafiche Friulane/Imoco Spa, 91, Udine. Venturini C. & Discenza K. 2009 – Delta-conoide di Dierico. In F. Cucchi, F. Finocchiaro & G. Muscio (a cura di): Geositi del Friuli Venezia Giulia, Reg. Aut. Friuli Venezia Giulia, Tip. Arti Grafiche Friulane/Imoco Spa, 92-93, Udine. Venturini C. & Discenza K. 2009 – Depositi sub-glaciali (Esker) di Dierico. In F. Cucchi, F. Finocchiaro & G. Muscio (a cura di): Geositi del Friuli Venezia Giulia, Reg. Aut. Friuli Venezia Giulia, Tip. Arti Grafiche Friulane/Imoco Spa, 94-95, Udine. Venturini C. & Astori A. 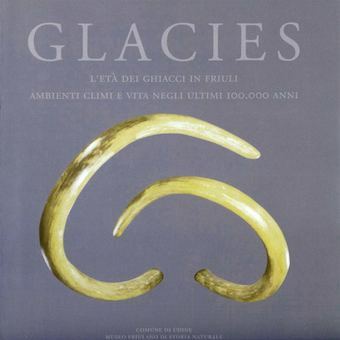 2009 – Deposito di contatto glaciale (Kame) di Clavais. In F. Cucchi, F. Finocchiaro & G. Muscio (a cura di): Geositi del Friuli Venezia Giulia, Reg. Aut. Friuli Venezia Giulia, Tip. Arti Grafiche Friulane/Imoco Spa, 96-97, Udine. Venturini C. Discenza K & Garuti D. 2009 – Deposito di contatto glaciale (Kame) di Illegio. In F. Cucchi, F. Finocchiaro & G. Muscio (a cura di): Geositi del Friuli Venezia Giulia, Reg. Aut. Friuli Venezia Giulia, Tip. Arti Grafiche Friulane/Imoco Spa, 98-99, Udine. Venturini C. 2009 – Piega del Monte Amariana. In F. Cucchi, F. Finocchiaro & G. Muscio (a cura di): Geositi del Friuli Venezia Giulia, Reg. Aut. Friuli Venezia Giulia, Tip. Arti Grafiche Friulane/Imoco Spa, 108-109, Udine. Venturini C. 2009 – Conoide di deiezione dei Rivoli Bianchi di Tolmezzo. In F. Cucchi, F. Finocchiaro & G. Muscio (a cura di): Geositi del Friuli Venezia Giulia, Reg. Aut. Friuli Venezia Giulia, Tip. Arti Grafiche Friulane/Imoco Spa, 110-111, Udine. Venturini C. 2009 – Spartiacque di Camporosso. In F. Cucchi, F. Finocchiaro & G. Muscio (a cura di): Geositi del Friuli Venezia Giulia, Reg. Aut. Friuli Venezia Giulia, Tip. Arti Grafiche Friulane/Imoco Spa, 116-117, Udine. Venturini C. 2009 – Successione lacustre di Oltreacqua-Rio Bianco. In F. Cucchi, F. Finocchiaro & G. Muscio (a cura di): Geositi del Friuli Venezia Giulia, Reg. Aut. Friuli Venezia Giulia, Tip. Arti Grafiche Friulane/Imoco Spa, 118-119, Udine. Venturini C. & Discenza K. 2009 – Altopiano del Montasio. In F. Cucchi, F. Finocchiaro & G. Muscio (a cura di): Geositi del Friuli Venezia Giulia, Reg. Aut. Friuli Venezia Giulia, Tip. Arti Grafiche Friulane/Imoco Spa, 130-133, Udine. Venturini C. 2009 – Deformazioni del Monte San Simeone. In F. Cucchi, F. Finocchiaro & G. Muscio (a cura di): Geositi del Friuli Venezia Giulia, Reg. Aut. Friuli Venezia Giulia, Tip. Arti Grafiche Friulane/Imoco Spa, 162-163, Udine. Venturini C. & Discenza K. 2009 – Successione lacustre di Ponte Racli. In F. Cucchi, F. Finocchiaro & G. Muscio (a cura di): Geositi del Friuli Venezia Giulia, Reg. Aut. Friuli Venezia Giulia, Tip. Arti Grafiche Friulane/Imoco Spa, 204-205, Udine. Venturini C. & Matarazzo M. 2009 – Successione deltizio-lacustre miocenica di Oltrerugo. In F. Cucchi, F. Finocchiaro & G. Muscio (a cura di): Geositi del Friuli Venezia Giulia, Reg. Aut. Friuli Venezia Giulia, Tip. Arti Grafiche Friulane/Imoco Spa, 212-213, Udine. Cucchi F., Venturini C. & Discenza K. 2009 – Frana di Braulins. In F. Cucchi, F. Finocchiaro & G. Muscio (a cura di): Geositi del Friuli Venezia Giulia, Reg. Aut. Friuli Venezia Giulia, Tip. Arti Grafiche Friulane/Imoco Spa, 216-217, Udine. Venturini C. 2009 – Stretta di Pinzano. In F. Cucchi, F. Finocchiaro & G. Muscio (a cura di): Geositi del Friuli Venezia Giulia, Reg. Aut. Friuli Venezia Giulia, Tip. Arti Grafiche Friulane/Imoco Spa, 222-223, Udine. Venturini C. & Muscio G. 2009 – Colle di Osoppo. In F. Cucchi, F. Finocchiaro & G. Muscio (a cura di): Geositi del Friuli Venezia Giulia, Reg. Aut. Friuli Venezia Giulia, Tip. Arti Grafiche Friulane/Imoco Spa, 261-263, Udine. Venturini C. & Astori A. 2009 – Antico spartiacque di Cimano. In F. Cucchi, F. Finocchiaro & G. Muscio (a cura di): Geositi del Friuli Venezia Giulia, Reg. Aut. Friuli Venezia Giulia, Tip. Arti Grafiche Friulane/Imoco Spa, 266-267, Udine. Venturini C. & Astori A. 2009 – Scarpata fluviale di Aonedis. In F. Cucchi, F. Finocchiaro & G. Muscio (a cura di): Geositi del Friuli Venezia Giulia, Reg. Aut. Friuli Venezia Giulia, Tip. Arti Grafiche Friulane/Imoco Spa, 268-269, Udine. Venturini C. 2009 – Anticlinale di S. Osvaldo. In F. Cucchi, F. Finocchiaro & G. Muscio (a cura di): Geositi del Friuli Venezia Giulia, Reg. Aut. Friuli Venezia Giulia, Tip. Arti Grafiche Friulane/Imoco Spa, 279, Udine. Venturini C. 2009 – Colle di Udine. In F. Cucchi, F. Finocchiaro & G. Muscio (a cura di): Geositi del Friuli Venezia Giulia, Reg. Aut. Friuli Venezia Giulia, Tip. Arti Grafiche Friulane/Imoco Spa, 280-281, Udine. Venturini C. & Finocchiaro F. 2009 – Terrazzo di Pozzuolo del Friuli. In F. Cucchi, F. Finocchiaro & G. Muscio (a cura di): Geositi del Friuli Venezia Giulia, Reg. Aut. Friuli Venezia Giulia, Tip. Arti Grafiche Friulane/Imoco Spa, 282-283, Udine. Venturini C. 2009 – Meandri del basso Fiume Tagliamento. In F. Cucchi, F. Finocchiaro & G. Muscio (a cura di): Geositi del Friuli Venezia Giulia, Reg. Aut. Friuli Venezia Giulia, Tip. Arti Grafiche Friulane/Imoco Spa, 286-287, Udine. 123 VENTURINI C., 2010 – Carte geologiche come spartiti musicali. Dal solfeggio all’ascolto: come e quando. In: C. D’Ambrogi, M. Pantaloni, R.M. Pichezzi (a cura di), Venti anni del Progetto CARG. (Cartografia Geologica). Memorie Descrittive della Carta Geologica d’Italia, 28-35. 124 VENTURINI C., 2010 – Ma è così difficile spiegare (e capire) l’argomento “depositi sedimentari”? ANISN, 41(3), 41-51. 125 VENTURINI C., 2010 – Scienze della Terra nella scuola superiore: appassionare gli studenti è davvero un’impresa disperata? In: L. Menabue & G. Santoro (Eds) New trends in Science and Technology Education – Selected Papers (Vol. I), Atti del Convegno, 77-96. 126 VENTURINI C., 2010 – Geologia, catastrofica armonia: grimaldelli didattici nelle Scienze della Terra. In: G. Santoro et al. (a cura di) Atti del Convegno “New trends in Science and Technology Education”, Abstract, 25. 127 VENTURINI C., 2010 – Si forma, si deforma, si modella. Come il territorio si modifica attraverso il tempo geologico. 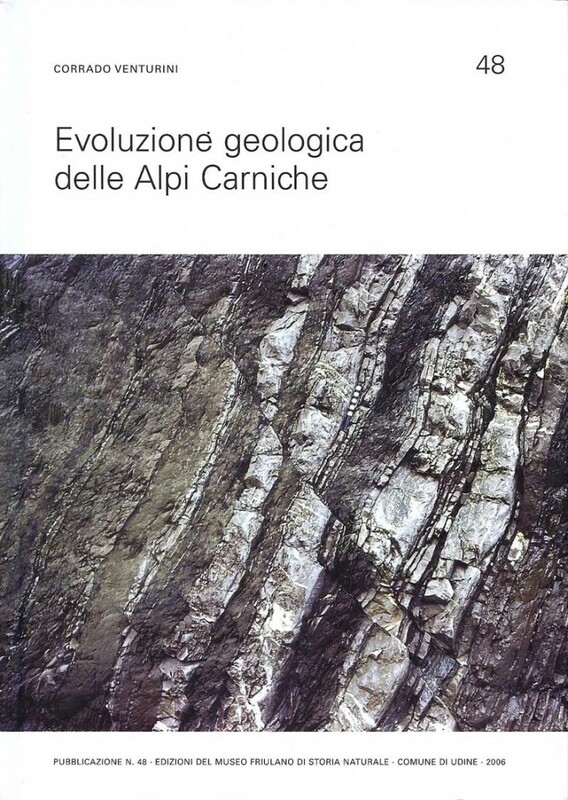 Comunità Montana Carnica – Geoworld Ed., 192 pp., Arti grafiche friulane, Udine. 128 VENTURINI C. & SPALLETTA C. – 2010 – Alpi Carniche: l’antica catena montuosa scolpita dai ghiacci. In: M. Panizza (a cura di), Via Geoalpina. ISPRA, 28-53. 129 VENTURINI C., 2011 – Le acque e il territorio dell’Alto But. In: C. Venturini (a cura di) ‘Alta Valle del But (Alpi Carniche): una storia scandita dalle acque nel tempo’. SECAB, Vol. celebrativo del centenario, 8-147, Paluzza (UD). 130 VENTURINI C., 2012 – Alpi Carniche: un geo-puzzle a 3D. In: G. Muscio & C. Venturini (a cura di), Le Alpi Carniche: uno scrigno geologico. Comune di Udine, Museo Friulano di Storia Naturale, 11-125. 131 VENTURINI C., 2012 – Realizzare e leggere carte e sezioni geologiche. Un approccio alla geologia di terreno e alla sua rappresentazione cartografica. Dario Flaccovio Editore, 216 pagg. 132 VENTURINI C., 1983 – Il Paleozoico Carnico: appunti per una mostra geologica. Identità, II, 6, 30-35, Casamassima Ed., Udine. 133 VENTURINI C., 1989 – Poco prima di sognare. FCP Editrice, Udine. A – VENTURINI C. (a cura di), 1983 – Il Paleozoico Carnico, le rocce, i fossili, gli ambienti. Comune di Udine, Museo Friulano di Storia Naturale, 131 pp. B – BROGLIO LORIGA C., CASSINIS G., CONTI M.A., D’AMICO C., DEMELIA PITTAU P., FARABEGOLI E., FONTANA D., MARIOTTI N., MASSARI F., NERI C., NICOSIA U., ORI G.G., PASINI M., POSENATO R. & VENTURINI C. (Eds), 1986 – Permian and P/T boundary in the South Alpine segment of the Western Tethys. Field Guide-book, 182 pp. C – VENTURINI C. & KRAINER K. (Eds), 1990 – Field Workshop on ‘Carboniferous to Permian sequence of the Pramollo-Nassfeld Basin (Carnic Alps)’. Proceedings (Abstracts), 84 pp. D – VENTURINI C. (Ed. ), 1990 – Field Workshop on ‘Carboniferous to Permian sequence of the Pramollo-Nassfeld Basin (Carnic Alps)’. Guidebook, 160 pp. E – VENTURINI C. (Ed. ), 1991 – Workshop Proceedings on ‘Tectonics and Stratigraphy of the Pramollo Basin (Carnic Alps)’. Giorn. Geol., Ser. 3, Vol. 53/1, 240 pp. F – VAI G.B., VENTURINI C., CARULLI G.B. & ZANFERRARI A. (a cura di), 2002 – Guida alle Alpi e Prealpi Carniche e Giulie, alla pianura friulana e al Carso. Guide Geologiche Regionali, Soc. Geol. It., 360 pp. G – VENTURINI C. (a cura di), 2003 – Glacies. L’età dei ghiacci in Friuli: ambienti, climi e vita negli ultimi 100.000 anni. Comune di Udine, Museo Friul. St. Nat., 1-63. H – PASQUARE’, VENTURINI C. & GROPPELLI G. (Eds) – 2004 – Mapping Geology in Italy. Servizio Geologico d’Italia. Apat, Intern. Geol. Congress Firenze 2004, 338 pp. Roma. 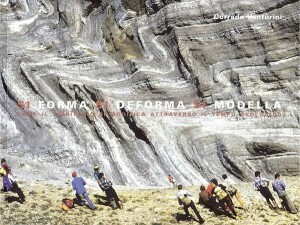 I – VENTURINI C., 2010 – Si forma, si deforma, si modella. Come il territorio si modifica attraverso il tempo geologico. 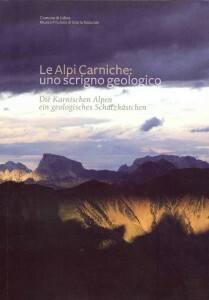 Comunità Montana Carnica – Geoworld Ed., 192 pp., Arti grafiche friulane, Udine. 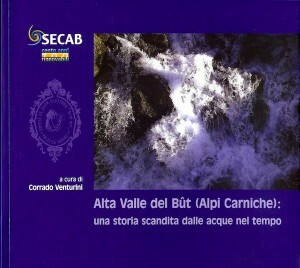 L – VENTURINI C. (a cura di), 2011 – Alta Valle del But (Alpi Carniche): una storia scandita dalle acque nel tempo. SECAB, Vol. celebrativo del centenario, 292 pp., Paluzza (UD). M – MUSCIO G. & VENTURINI C. (a cura di), 2012 – Le Alpi Carniche: scrigno geologico. Comune di Udine, Museo Friulano di Storia Naturale, 160 pp. Organizza, in collaborazione con M. Calzavara e G. Muscio, la mostra temporanea ‘Il Paleozoico Carnico: le rocce, i fossili, gli ambienti’. Comune di Udine, Museo Friulano di Storia Naturale (52.000 visitatori). Progetta e cura l’allestimento, in collaborazione con M. Calzavara, di due sale geologico-paleontologiche per il Museo Tridentino di Storia Naturale, Comune di Trento. Realizza il documentario ‘La geologia delle Alpi Carniche’ (durata 43′). I tempo: L’evoluzione stratigrafica (Carbonifero medio-Trias medio), 21′; II tempo: L’evoluzione deformativa (Orogenesi ercinica e alpina), 22′). Collabora con G. Muscio, D. Camuffo, A. Pessina, M. Rottoli, M. Giovannelli e F. Stoch, alla realizzazione della mostra temporanea ‘Glacies – L’età dei ghiacci in Friuli. Ambienti, climi e vita negli ultimi 100.000 anni’. Comune di Udine, Museo Friulano di Storia Naturale. Organizza con L. Cantelli la sessione poster T-67 ‘Il Progetto Edu-Geo: il territorio come laboratorio didattico tra Scuola Superiore e Università’ nell’ambito del VI Forum Italiano di Scienze della Terra – Geoitalia 2007. Organizza con L. Cantelli il Workshop 13 ‘Geoscienze e istruzione: una nuova interazione tra Università e Scuola Superiore’ nell’ambito del VI Forum Italiano di Scienze della Terra – Geoitalia 2007. Organizza con Cantelli L. & Greco R. il Workshop 14 ‘Scienze della Terra e scuola secondaria superiore: dal laboratorio al territorio per incuriosire, coinvolgere, ispirare’ nell’ambito del VII Forum Italiano di Scienze della Terra – Geoitalia 2009. Realizza la mostra permanente ‘Alta Valle del But (Alpi Carniche): una storia scandita dalle acque nel tempo’. SECAB, Paluzza (UD), nell’ambito delle iniziative culturali per le celebrazioni del centenario. 15 pannelli (33 mq di esposizione). Realizza i video (formato .avii) concernenti l’evoluzione geologica del territorio nell’ultimo milione di anni – allegati alla mostra ‘Alta Valle del But (Alpi Carniche): una storia scandita dalle acque nel tempo’. SECAB, Paluzza (UD), nell’ambito delle iniziative culturali per le celebrazioni del centenario. (Video 1: La grande sfida: Mare Adriatico vs Mar Nero, durata 5’; Video 2: Grandi Frane e Laghi scomparsi, durata 6’).